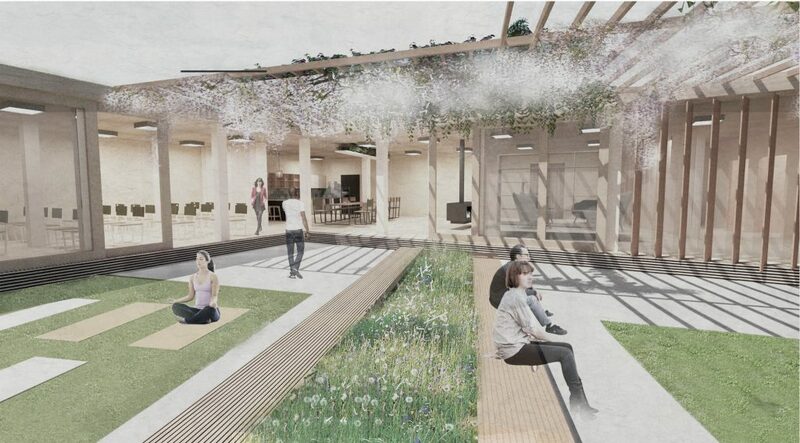 Before Christmas, SDA took part in the open NBS Maggie’s Centre design competition. 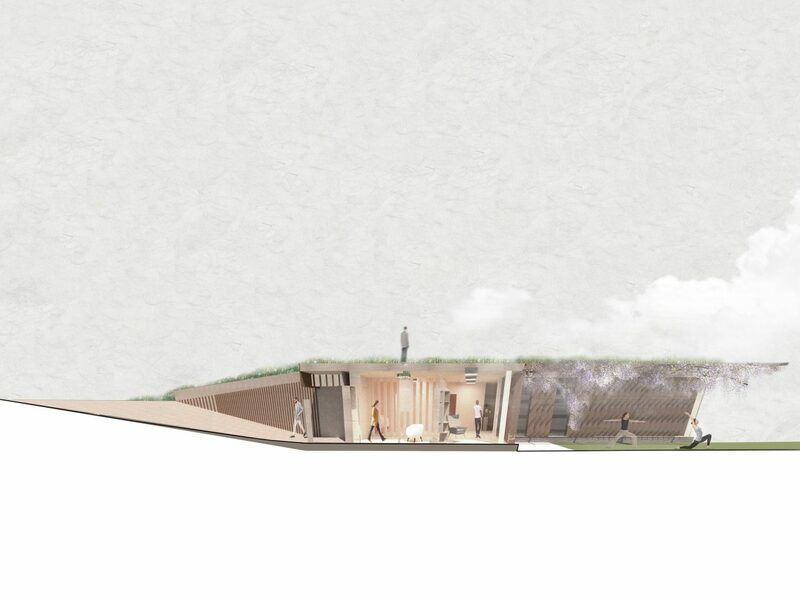 Developing a design for a new Maggie’s Centre, the design brief was based on a fictitious sight, but outlined key accommodation requirements for a holistic environment that very much felt like home. Key spaces included a central Kitchen, Meeting/Therapy space and Garden. The brief offered the team an opportunity to apply their design skills to a fairly ambiguous brief, given that we had no contextual constraints. 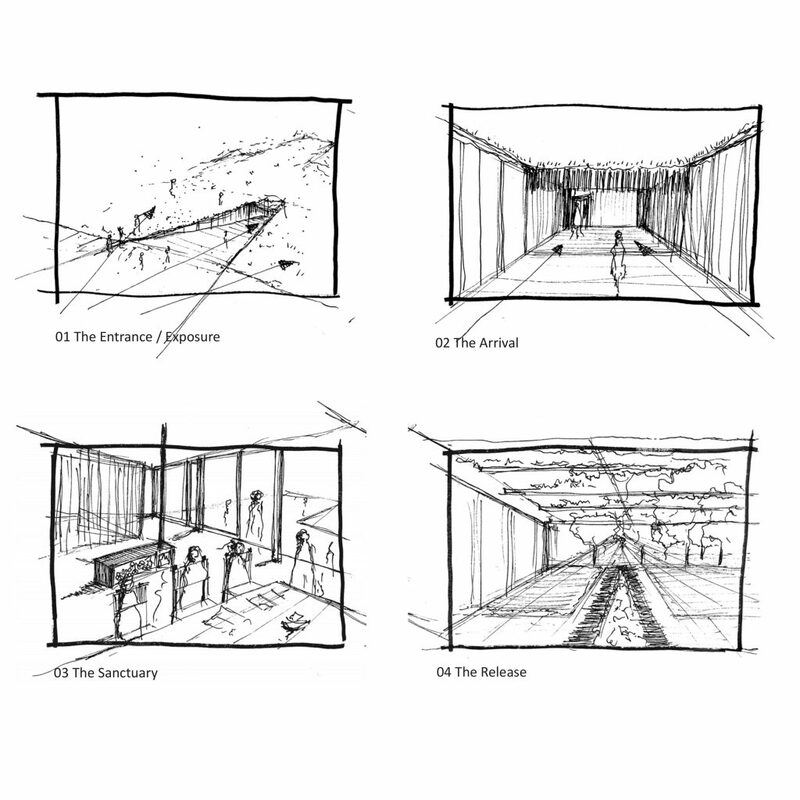 Developing the design the team wanted the space to act as an experience of both belonging and release. The linear design of the building was applied to the accommodation layout as well as designs in the external details and cladding. 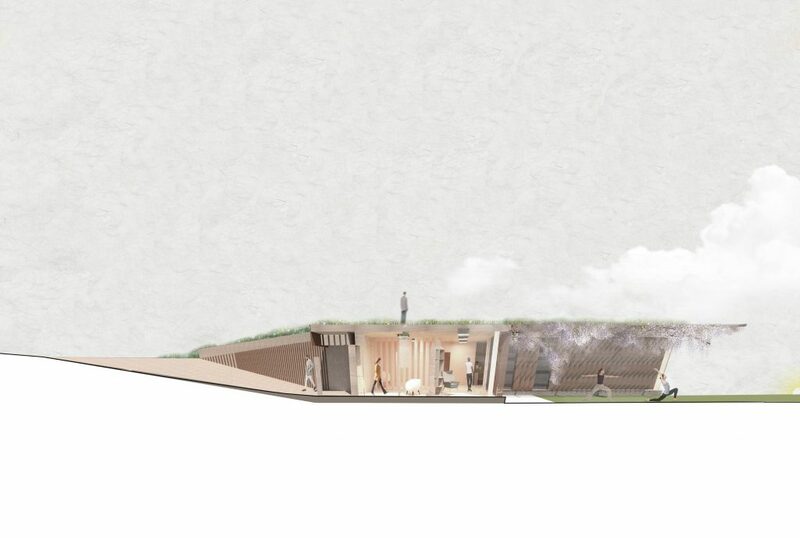 By placing our design within the landscape we wanted the user to experience moments of ‘Arrival’ ‘Sanctuary’ and ‘Release.’ With the user constantly surrounded by the wilding landscape, the building and environment acts as physical protection to those experiencing the space.